For all your Launceston real estate needs please visit us at our office address above. Galina has been in Australia for almost 15 years. She loves this country, especially Tasmania as it is a great place to raise and educate her children. Galina’s background is economics and accounting. She enjoys working with figures and being precise. Galina lives on a farm with her husband and three children. In her spare time Galina enjoys going camping, fishing and exploring new places in Tasmania, Australia and around the world. 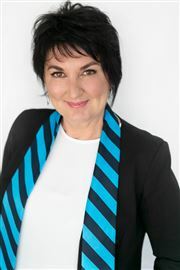 Jayne Harwood has over nine years Real Estate experience and also two years in Print and Digital Media. 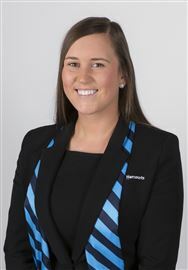 Joining Harcourts Launceston in 2015 as Sales Manager her goal is to ensure all clients receive the highest level of service. Jayne believes your property isn’t just a number on our sales board. She cares about who you are, why you are selling and what your future goals are. At Harcourts Launceston we don’t just want to sell your home, we want to sell your home for the best possible price in the quickest time-frame, we want to help you find your next home and finally we want to help you move in. We keep caring after we have completed your sale, with continued contact and yearly market appraisals so you always know what your most important asset is worth in today’s market. We care about our community We live in and truly care about the suburbs we sell in. We shop at the shops you do, we have coffee at the local cafes, our children go to the local schools, we are part of your community and because of this we care about building and strengthening relationships with the people around us. In my role as Business Operations Manager for Harcourts I will be assisting Tony with the growth of the Harcourts brand throughout the state. This will involve providing assistance with setting up new offices, branding requirements, technology, staffing, implementing systems and procedures and anything else that a new office joining the ever expanding Harcourts Group in Tasmania will need. 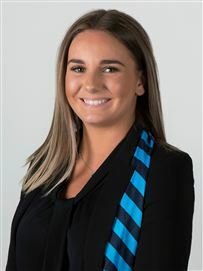 This role allows me to deal directly with the people that will help to grow the Harcourts Group to be the number one real estate company in the state – which I am very excited about! I enjoy the fact that I have a mix of administration based responsibilities in this role along with actually getting to meet the people and physically assisting with the day to day operations of a business. Tayla is an absolute asset to our administration team. Her bright bubbly personality makes her the perfect fit for our reception desk, while taking care of our sales team along the way. 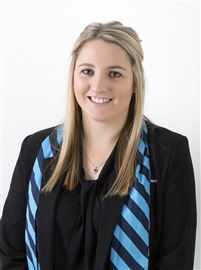 Tayla has been with the Harcourts family for a few years now and we are very lucky to have her as part of the team. Tony Morrison entered the Real Estate Industry in 1988 and over the last 26 years has achieved almost everything that could be achieved within the Real Estate Industry. Throughout the 90’s Tony won the Tasmania Multi List Sales Person of the Year 8 years in a row from 1991 to 1998, as well as being the Professionals Top Sales Person from 1990 – 1999. In 2001 Tony, together with Scott Morrison and Kirsty Dunphey, set up M&M Real Estate and within 3 years the company was honored by BRW in their Annual Top 100 List of fastest growing companies in Australia. In 2003 Harcourts approved Tony to re brand and grow the franchise group throughout Tasmania. In the role of CEO for Harcourts, Tony has taken the group to 24 offices throughout the state, by far the biggest franchise group in Tasmania as well as facilitating the setting up of Harcourts Rural Tasmania and NAI Harcourts Commercial. Today Tony remains an owner of the Launceston and Longford Harcourts offices and is still involved in listing and selling houses for clients he first met 26 years ago, as well as running the biggest Real Estate Group in Tasmania. Carlton joined Harcourts Launceston in July 2017 bringing a fresh perspective to Jeremy’s award winning team. Carlton holds qualifications both as a Property Representative and Auctioneer and has worked within the industry for almost 2 years. 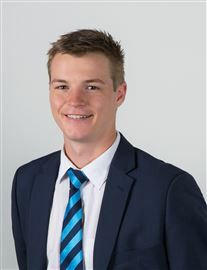 Previous to joining the industry Carlton attended Scotch Oakburn College where he demonstrated a natural flair for public speaking and represented Tasmania at the National Schools Auctioneering Competition winning the inaugural title. Since joining the award winning team Carlton has been conducting numerous auctions, including both property and charity, which led to him being chosen to represent Tasmania at the 2018 Australasian Auctioneering Competition in New Zealand. As Buyers Agent to one of Launceston’s leading sales agents, Carlton’s ability of clear communication, dedication and poise are rare qualities to find. Always putting his clients and customers first and providing trusted and reliable service. Carlton is driven by hard work and achieving positive results for his clients. He is straight-forward and passionate about what he does, which is demonstrated through exceptional reviews from clients. Since his first day in 2009, David has presented an energetic, open approach to real estate. A refreshing change to the stereotype Real Estate Agent. He believes in providing a hassle free, full serviced based real estate experience. 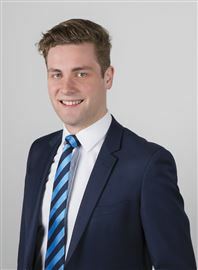 It is this reason his clients come back, and why he received the 2011 Real Estate Industry Tasmania Award for Achievement - the best young agent in TAS. David then went on to win this award on a national level, the Real Estate Institute of Australia's award for Outstanding Achievement. David is the first Tasmanian to win ANY award at a national level, no other residential agent, office or company had won at the REIA Awards, so we think that's pretty awesome. David listens to your needs and situation before tailoring a program with you not for you. After all each property and situation is different and therefore should be marketed differently. He holds a Diploma in Property Services, is a highly trained Agent, registered Auctioneer and Business Broker; whether it's a property or a business you need advice on, why not draw from his vast experience. Give your local agent Dave and call today. “I can see myself being a sales consultant until the day I drop…I just love it”. Introducing Jeremy Wilkinson, director and sales consultant. He is one of three owners of Harcourts Launceston. Jeremy is one of the most respected agents in Australia. 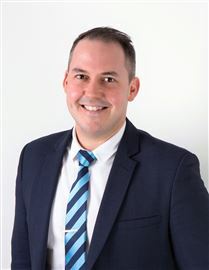 In six of the last ten years, he was named Tasmania's Number 1 Residential Sales Person in the Real Estate Institute of Tasmania, was named Number 1 Sales Person for Harcourts Tasmania for six of the last eight years, and was a finalist in the Real Estate Institute of Australia National Awards in 2007, 2008, 2009, 2011,2013 and 2015. Though he is attracted to the ‘thrill of the chase’ and the ‘instant hit’ of a sale, Jeremy finds the professional relationships he forms with clients the most valuable and rewarding aspect of the job. A devoted and down-to-earth father of a young family, Jeremy understands the importance of creating a stress-free environment for busy clients, with qualified agents they can trust. With a professional average of a property sold every 4.2 days over the last thirteen years, Jeremy - and by extension anyone who associates with him - is already a winner! In the past 15 years, a property is sold by Jeremy every 4.2 days. If you're looking find a real estate agent to help you sell your home or to help you find your dream home, who better to call in the Launceston, TAS area than Harcourts Launceston! Karen recently returned to Launceston after spending five years in the beautiful Yarra Valley wine region, living in Healesville. 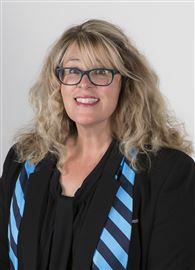 She was born and raised in Launceston and has four children that have attended school and played sport with various clubs in the community. She has had her own successful business both here in Launceston and on the mainland. Her family recently adopted a greyhound who has firmly become a loved family member. 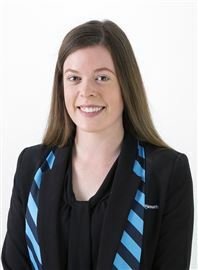 She is community minded and lends a hand when she can with the Launceston City Mission and also does Launceston Park Run with Just like Jack organisation. She has a grandson who has cerebral palsy and he participates in a chair running with the group at park run on Saturdays. She is a member at LA Fit and tries her best to stay fit and healthy. Karen lives by the ethos that if you are going to do it there is only one way of doing it and that is by doing your absolute best and that is what you can rest assured she will do for you if you are buying or selling residential property. She wants to make your real estate experience as pleasurable and stress free as possible. 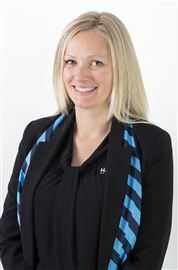 You can trust that she will be working tirelessly to ensure that your property transaction is a smooth process from the very beginning to the end. Clear and open communication at every step along the way is her highest priority in ensuring that you are informed as quickly as possible of any developments as they happen. It also ensures every one is on the same page which is key to achieving the best possible outcome as quickly as possible. Karen has personally sold and bought many properties over the years from period beauties to ultra modern designs and even the classic renovator. She is acutely aware of what makes a great real estate experience and what the alternative can feel like. Integrity, empathy and professional manner are Karen’s priorities. Meet with Karen and make up your own mind, you have nothing to lose and everything to gain if you make the choice to have Karen assist with your next property transaction. Neil joins the award winning Harcourts Launceston team in 2008 after a highly successful sales and management career with one of Launceston’s leading automobile franchises. With years of experience in sales, negotiation and client satisfaction, Neil’s unique ability to build trust and confidence with all his clients positions him perfectly to assist in the delicate nature of buying and selling property. A keen people person with the will to exceed your expectations, Neil’s wealth of knowledge and contacts in all walks of life, makes him the perfect person to assist you with your next home buying or selling experience. A firm believer in treating all people as he himself would like to be treated; Neil is a fantastic addition to the Harcourts Launceston team. If you’re after a property consultant who is genuinely honest, offering integrity and solid advice, with the added benefit of loving a good laugh, then contact Neil today for an obligation free appraisal. Scott Morrison began his real estate career back in 1990 working as a consultant with two of Launceston’s leading real estate companies throughout the 90’s. A desire to deliver a higher standard of service and professionalism led him in partnership to establish M&M Real Estate. Together with his brother Tony Morrison, M&M Real Estate went on to set the standard of innovation and market leadership from the moment the doors opened for business to the point where in 2003 the firm was placed in the top 100 fastest growing companies in Australia. In 2004 Scott left real estate to indulge his passion for property development. In 2012 an opportunity arose to re-enter real estate with the new Harcourts East Launceston office. Bringing over 20 years of experience on both sides of selling Scott has the desire, drive and commitment that will achieve the best results for you! I have worked in Real Estate for over 15 years in a variety of administration and sales roles. I enjoy working in a busy office with plenty of positive energy and love to be busy. On a personal level Ialso loves to get outdoors and travel, play tennis, scuba dive – preferably in tropical waters. Why Real Estate? I know it’s not really about houses- it’s about people and bringing them together with the right property. What are your values? I enjoy life and believe in apologising when you should and let go of what you can’t change. Keep trying to be the best version of yourself. What qualities would you look for in a Property Manager/ Property Consultant to look after your property? Great communication, attention to details and integrity. 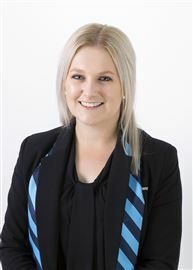 Shelley Spencer is a dynamic addition to the Harcourts Launceston team and has firmly asserted herself as a property specialist in Tasmania, bringing with her passion, energy, integrity and drive. The former television reporter prides herself on her professionalism, communication and negotiation skills and is committed to continuing to achieve great results for her vendors and buyers. 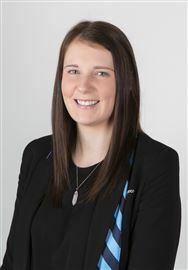 Shelley provides exceptional service and thoroughly enjoys working with Launceston's biggest and most successful agency. 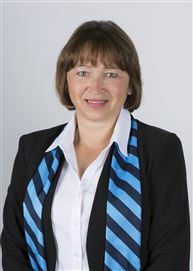 Yvonne started working in real estate in 2005. Her enthusiasm and devotion to organize and schedule the marketing of properties is where her true commitment lies. Yvonne enjoys the challenge of meeting deadlines as well as supporting Neil and his clientele. Yvonne has become an integral part of their partnership and has developed brilliant business acumen under her managers’ guidance. She has a high level of organisational and communicational skills with a professional friendly approach. Her empathy and intuition with potential buyers and sellers make her the perfect choice to promote every clients property. 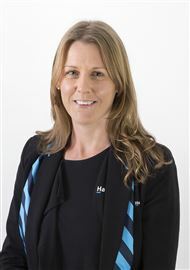 Yvonne started working in real estate in 2005 and until recently work as a business manager and personal assistant to Jeremy Wilkinson, in 2007 & 2008 Jeremy was awarded the coveted honour of Residential Real Estate Agent for Tasmania by the Real Estate Institute of Tasmania and was short listed for the top seven agents in Australia. Yvonne has been an integral part in Jeremy’s business and developed a brilliant business acumen under his guidance. Now as an independent consultant she has a high level of organisational and communicational skills with a professional friendly approach. Her positive and determined attitude along with her expertise in marketing are virtues which are paramount when it comes to negotiating the sale of your home. 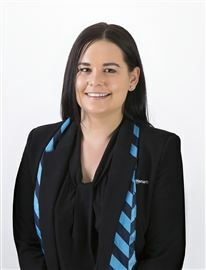 Colleen commenced her Harcourts journey as a casual employee in February 2016 and never really left. 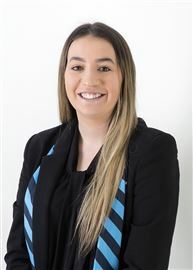 Having bounced around filling in between Reception and Rentals for nearly two years, she has recently signed on to work on a permanent basis in the Property Accounts and Business Development departments. Colleen’s Tasmanian love affair began in 2011. After finishing uni and then living out of a suitcase for several years, she promptly fell head over heels with the place. The land and the people are a constant delight to her. She brings with her a varied employment background; from finance and hospitality to reptile zoos and yachts. In her downtime, Colleen enjoys books, baking, travel, and languages. Recently located from Geelong, Victoria and have worked within Real Estate sector since 2015. Having worked as a Property Manager for the last two and a half years, I've enjoyed the challenges Real Estate brings each day. In my spare time, I enjoy spending time with my partner, friends & exploring what Tassie has to offer. Why Real Estate? Everyday is different & brings new challenges. I enjoy working with others to meet client's expectations and needs. What are your Values? Honesty, respect, teamwork, positive attitude, integrity & hard work. What qualities would you look for in a Property Manager / Property Consultant to look after your property? Professionalism, organised, honest & respectful. 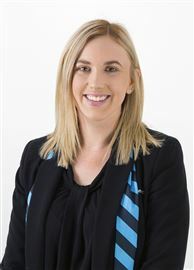 Harcourts Launceston is pleased to announce the appointment of Kirsten Slater as Property Portfolio Manager to our existing award winning team. Kirsten's extensive experience in property management will ensure all her clients receive the very best management for their portfolio. Kirsten prides herself on her communication, positive attitude, professionalism and negotiation skills. Kirsten thrives in a busy, fast paced environment and is passionate about providing everyone she meets with superior customer service and a lasting impression. Outside of Harcourts, Kirsten loves spending quality time with her partner, family and friends. 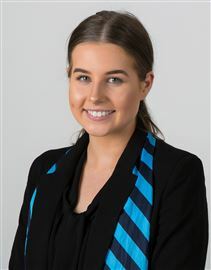 Tiarna joined our Harcourts team in early 2017. In this time Tiarna has had a very successful career as the Asset Manager and we believe she is going to make a fantastic Senior Property Manager. Tiarna prides herself on providing her clients with a high level of service with a keen focus on customer service. Tiarna listens carefully to the individual needs of her clients and strives to go above and beyond to ensure that their needs are met. She makes sure that her clients are kept fully informed throughout the whole investment process so that their real estate experience is as stress free as possible. 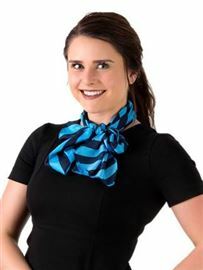 Tiarna is very excited to begin her new role as a Senior Property Manager, bringing a confident can do attitude. I have been working in the customer experience industry for over 6 years and have loved every moment of it. Working in a fast paced environment brings new experiences each day. In my spare time I enjoy spending time with my family and friends. Why Real Estate? Real Estate will test my knowledge and bring new challenges each day. What are your values? Hard work, Team work, Honesty and Positivity. What qualities would you look for in a Property Manager to look after your property? I'd look for someone to be approachable, friendly, trustworthy and has great communication. 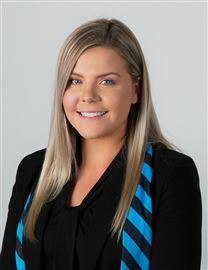 Michelle joined the Harcourts Team in October 2017, working in reception for just under a year before moving into the sales department as Shelley Spencer’s personal assistant. Real Estate interested Michelle initially with the fast pace and diversity of the industry and she has become more involved, she has fallen in love with using her skills in graphic design and creativity to explore different marketing strategies including the use of social media. Michelle is a bright and bubbly personality in the office and thrives in a position that allows her to connect with a variety of people. Outside of the office Michelle is very keen on health and fitness. She trains competitively in fitness competitions and is part of Minx Dance Company – making the most of any chance to get on stage. Last but not least, Michelle has two dogs, Kenny and Arla, who she spoils like children and loves taking them out on adventures or snuggling up to them after a long day. Michelle’s love for Real Estate continues to grow and she is excited for what more she can accomplish in the coming years. 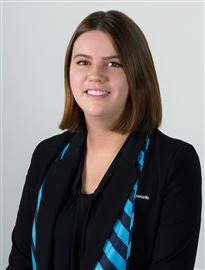 Mikayla started working at Harcourts in May 2017 as an Assistant Property Manager. She enjoyed working in property management, however felt the need for a change, so decided to take the opportunity to move into Administration. 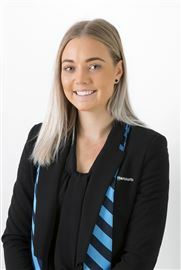 Mikayla loves working at Harcourts alongside all the amazing staff and is excited to expand her knowledge, grow her customer service skills and learn more about the Sales aspect of the industry. She loves being challenged every day, as well as being able to help other people. Mikayla values honesty, positivity, determination and hard work. In her spare time outside of work, Mikayla enjoys exploring Tasmania with her partner and 2 dogs, and spending time on her family's dairy farm. She also loves spending time with her family and friends, and playing netball and touch football. More And More On Offer Here! Say goodbye to your landlord! "Welcome to Your Dream Home"
Neat, Tidy and nothing to do!